If we identify and reiterate the unique talent or inherent qualities of an individual in childhood, we as adults can hone their skills for life long advancement. Behind the basic sensory appeal and function, we can train our sense organ for the creation of novels, plays, cinema and a plethora of creative outputs. Creativity does not simply merely training as creative artists, but as separate individuals to think, question, argue, or validate social norms and more. For the creative processes, rather the cognitive processes to flow, we need training in 1. Intellectual learning devices like quiz, debate and group discussion for dissemination of information, knowledge, development of analytics, memory and concentration, vocabulary. 2. Visual arts for igniting and enhancing imagination and aesthetics. 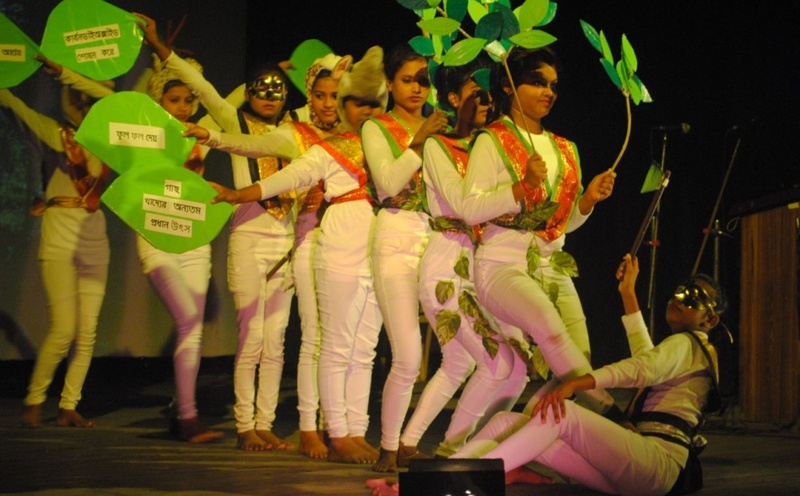 Performing arts for motor development, personality development, inter personal relationship management techniques. Methodology: The students would be selected on the basis of age. They would be divided into groups. Our organisation, would organise an initial intra school followed by a inter school mega event. The mega event, garnering at talent hunt would be a social leveller to bring lesser and more privileged students to a common platform. – Help children to make them THINK as individuals and get their Education attuned to personality development and knowledge seeking. -Inculcate creativity in the minds of the children and expand their horizons beyond classroom study. – Considering the current movements worldwide, children will be connected to digital platform. – Counseling with the students about the areas of concern, especially on creating interest in education and behavioural issues. – Skill Development for future readiness. – Training on various art & craft making. – Giving a platform for Broader Exposure of the Talents. – Boosting the confidence factor – I Can! Vision: The Catch Them Young program aims at collective collaboration between other organisations, nurturing our views of imparting skill based educational, motivational, creative learning tools for the all round development of children to function as sedate adults in society. 1.Acts as a social leveller. 2.Acts as a platform for budding artists. 3.Creation and polling of events for further events. “As a visitor of The Kasba Modern Institution for Girls, I am amazed to see the beautiful artwork created by all the students. It is great to see that they are able to learn about folk art through an interactive and hands on process, something that I really enjoy. I believe that through this learning process, these girls will be able to excel in their artistic capabilities both now and in future.” ~ Debarshi Basak / Student / California.